We eat tupperware, and we aren’t sorry! Oh but how cute we are!!! The one standing looks like he is closing his eyes. Maybe to”hide”? Ha! 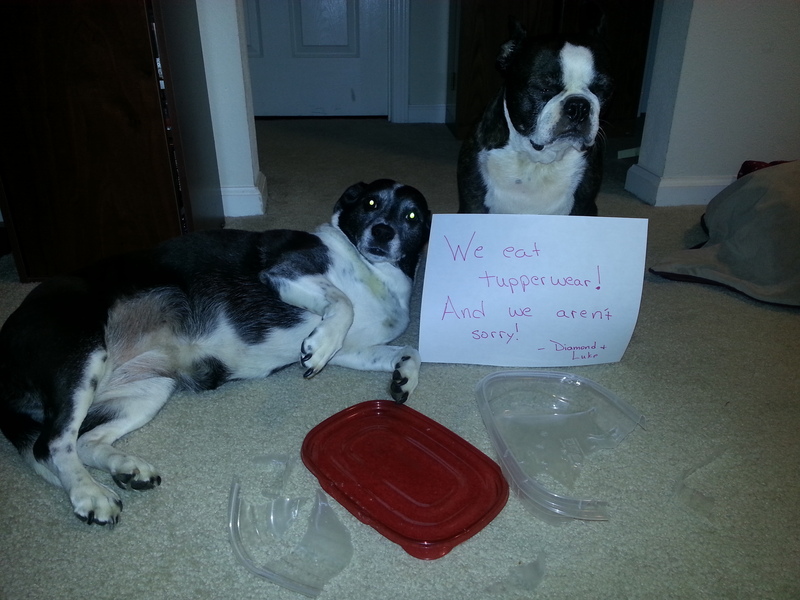 Mine ate a Tupperware lid yesterday! Actually, the one on the left looks like she’s doing the ‘submissive rollover’ in order to say “I’m sorry”. My Rattie is really good at the submissive rollover — particularly when she’s on the bed and she knows I want her off the bed. She does the submissive rollover, wags her tail, and looks at me pathetically…. It usually works and I end up letting her stay on the bed. We worked real hard. Now giz us belleh rubs.